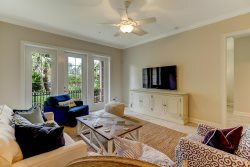 Amelia Rentals goes beyond vacation rentals on Amelia Island. Working with Maddox Inc. , we also provide some of the best residential, resort, and waterfront real estate available for purchase on the island. With properties available in Amelia Island Plantation, Summer Beach, Amelia Surf & Racquet Club and more – homebuyers have their pick of locations from the tip of the northeast coast, to the tip of the south, and everything in between. Beyond the beautiful views of the Atlantic Ocean and Intracoastal Waterway, Amelia Island Plantation offers three 18-hole championship golf courses, 23 clay tennis courts, boutique shopping, and a varied, yet delicious array of dining options. Indulge in the lifestyle offered at Summer Beach – feel free to relax and unwind, with access to unspoiled Amelia Island beaches or a poolside surrounded by lush, tropical flora. Discover your next adventure or plan your perfect romantic getaway with our Amelia Island or Amelia Island Plantation vacation rentals; ride horseback along the beach, explore scenic bike trails, play a round of golf, or find your competitive edge in a game of tennis. One of the most beautiful locations in Florida, Amelia Island offers stunning views of the Atlantic Ocean and Intracoastal Waterway in every direction. And there’s no shortage of outdoor activities: take your pick of boating, fishing, scuba diving, kayaking, horseback riding, and more while staying in our unforgettable Amelia Island Condos & Homes.